For those in search of a place to rock and bowl, this sprawling venue with a 16-lane bowling alley, concert stage, food service, and multiple bars and seating areas, will not disappoint. This mix of offerings brings in crowds of boisterous 20-somethings, as well as couples in their 30s and 40s, some with kids in tow. As the former home of Hecla Iron Works, the space has an industrial warehouse feel, but exudes warmth with exposed brick walls and colorful vintage carnival posters. Bowling prices are not cheap (weekend rate is $25 per lane each half hour), but your friends will thank you and help out with the bill. Each bowling lane is equipped with an automatic scoring system, ample seating on leather chesterfield sofas, and a huge high-def projection screen where you can watch sports or the live concert. 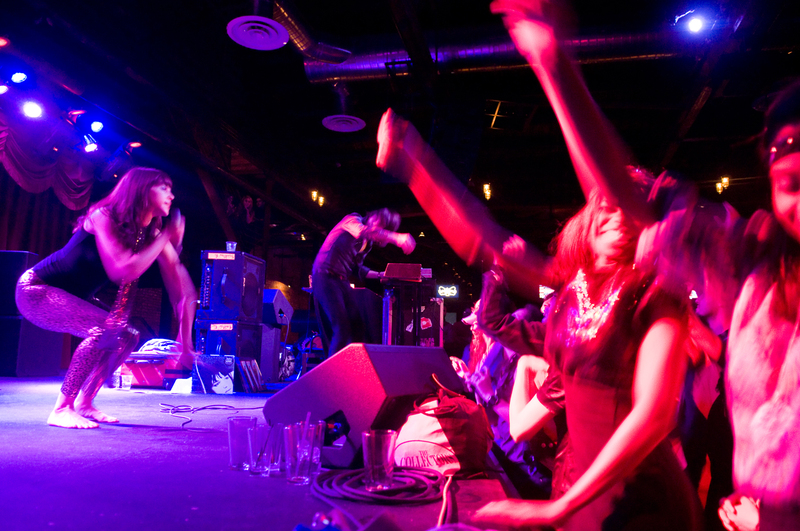 A few steps away, at the full-sized soundstage, you can catch big-name musical acts like Guster, the Roots, and M.I.A., as well as dj nights, cover bands, and the weekly hip hop karaoke night. Sustenance is provided by local restauranteurs, Blue Ribbon, dishing out hearty comfort foods like fried chicken, wings, and mac and cheese. Drink local and try one of the craft brews on tap like a Pilsner from Brooklyn Brewery. 61 Wythe Ave, between North 11th and 12th Sts, Williamsburg, Brooklyn; 718-963-3369; L subway to Bedford Ave. Hours: Mon-Thu, Sun 6pm-2am; Fri and Sat 6pm-4am. Bowling prices are per lane per hour: $20 Mon-Thurs, $25 Fri-Sun; website: http://www.brooklynbowl.com.